Rosa Sunol is President of the Board of Trustees at FAD. She holds the Donabedian Research Chair in Quality at the Faculty of Medicine and is also Deputy Editor at the International Journal for Quality in Health Care since 1991. Rosa Sunol has published more than 80 articles and books and has over 25 years of experience in health and social care research on quality particularly on patient empowerment and self-management and implementation science. She has supported implementation of more than 230 internal quality programmes (hospitals, PHC, long-term care, home care, behavioural health care and social services) in Spain and she has managed assessments on more than 600 social care organisations. 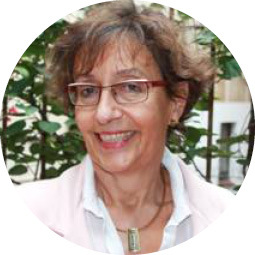 She has led EU funded projects such as MARQuiS (Methods of Assessing Response to Quality Improvement Strategies), DUQuE (Deepening our understanding of quality improvement in Europe) and PaSQ (Patient Safety and Quality of Care). Currently, she is participating in PISCE (Pilot project on the promotion of self-care systems in the European Union), PRO-STEP (Promotion of self-care systems in chronic diseases in the European Union) and EMPATTICS (Empowering Patients for a better Information and Improvement of the Communication Systems) project. 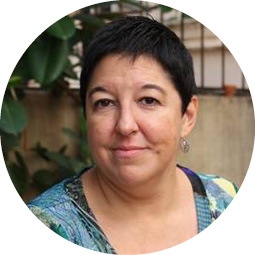 Carola Orrego is Deputy Director at FAD with more than 20 years of experience in leading, managing and coordinating projects in the Quality and Patient Safety field. Her main experience in quality improvement is related to implementation research and scaling up of quality improvement interventions. Carola Orrego has participated in more than 20 research projects with medical associations and health care organisations through the implementation of evidence-based safety practices. She leads the `Network for excellence in clinical practice´, an initiative to promote quality improvement through synergies and shared knowledge among hospitals using social media and Information technologies. She has participated as a Senior Researcher and work package leader in several EU funded projects as HANDOVER (Improving the Continuity of patient care Through Identification and implementation of Novel patient handoff processes in Europe), PATIENT (Improving the continuity of patient care through teaching and researching novel patient handover processes in Europe) and EMPATHIE (Empowering Patients in the Management of Chronic Diseases) project. Currently, she is participating in PISCE (Pilot project on the promotion of self-care systems in the European Union), PRO-STEP (Promotion of self-care systems in chronic diseases in the European Union) and EMPATTICS (Empowering Patients for a better Information and Improvement of the Communication Systems) project. 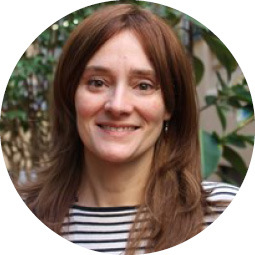 Marta Ballester is Researcher and Project Coordinator at FAD working mostly with research areas of patient empowerment, self-management, patient participation and integrated care. At a European level, she participated as researcher and project manager in many EU-projects, such as EMPATHiE (Empowering Patients in the Management of Chronic Diseases), PISCE (Pilot project on the promotion of self-care systems in the European Union), PRO-STEP (Promotion of self-care systems in chronic diseases in the European Union) and EMPATTICS (Empowering Patients for a better Information and Improvement of the Communication Systems). Additionally, she has served as an expert in the development of criteria for the evaluation of Best Practices on patient empowerment in the CHRODIS (Implementing good practices for chronic diseases) project. Joaquim Bañeres is Director at FAD and Head of Education. 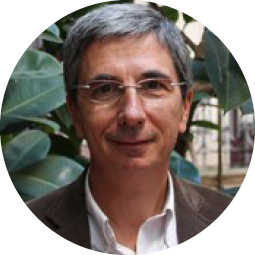 He is Associate Professor at the Medicine Department of Universitat Autònoma de Barcelona (UAB) and responsible for the coordination of the Master´s degree in `Quality Management and Patient Safety in Health Care´. Joaquim Bañeres has been committed to quality improvement research and implementation over the last 30 years, focusing on public health, health promotion, management of Primary Health Care, clinical programmes in chronic diseases, but also including areas of patient safety, health care accreditation in hospitals and primary care services, clinical indicators assessment and others. 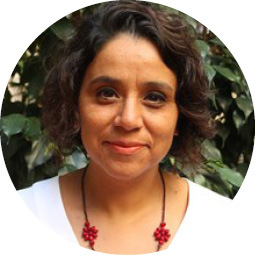 Nuria Hidalgo is Chief Financial Officer and legal representative at FAD. She manages all accounting operations (suppliers, customers, banks, budgets, tax declarations, cash management, reporting to the General Directorate, and preparation of financial statements, expenditure planning, and economic management of projects financed by the European Commission). She deals with the coordination of external audits, preparation of documentation for public tenders, and organisation of the Annual Quality Awards as well. She is also in charge of the Human Resources Department. Assumpta Pons is Executive Secretary at FAD, working closely with senior managerial staff to provide administrative support. She has wide experience dealing with matters related to health care including accreditation in hospitals, primary care centres, ambulatory centres and long-term centres. 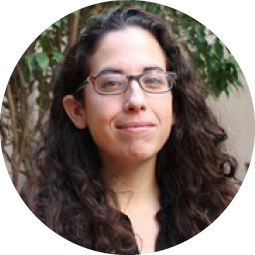 She also has assisted in several EU projects (MARQuiS, DUQuE, PaSQ PISCE, PRO-STEP, EMPATHiE, EMPATTICS).